Enough is enough. Even Cardinals now see it. Well, this is good news. 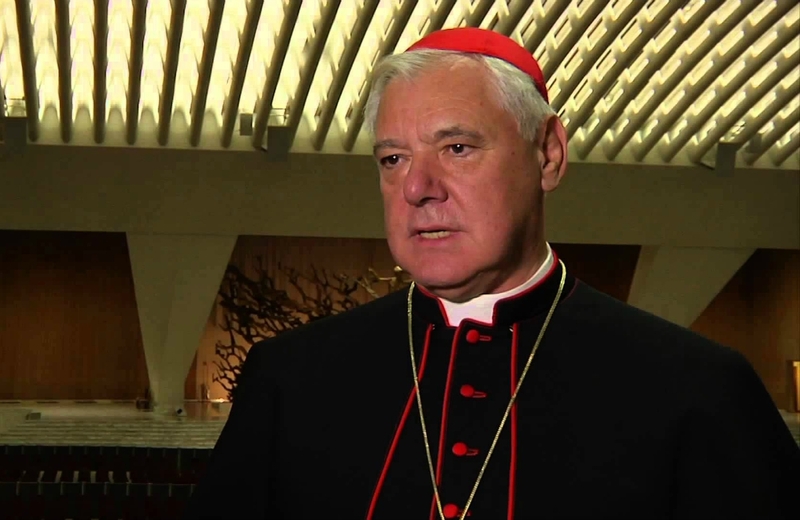 Cardinal Mueller has released a strong-worded manifesto, that is so pointedly, so evidently, so insistently anti-Francis that the fact Mueller does not mention the name will not prevent it from making headlines all over the planet. It is a systematic demolition of some of Francis’ heretical (I am talking here in the common sense intended by decent people; not in the sense referred to in the ruminations of weak Canonists) statements on the One True Faith, communion for adulterers, hell and repentance, male priesthood, and other stuff I now forget. The words are strong, often taken directly from the Scriptures or from the Catechism. “For he that shall be ashamed of me, and of my words, in this adulterous and sinful generation: The Son of Man also will be ashamed of him, when He shall come in the glory of his Father with the holy angels.” (Mark 8:38). The Cardinal does not go to war openly against Francis, but he ridicules him in front of the Catholic world. The Cardinal clearly seems to either defy Francis to take measures against him, or to show that Francis has become so embarrassing that he will now be openly corrected and contradicted without any regard for his position of authority. When a Cardinal accuses the Pope, in an official manifesto, of making the work of the Antichrist, I think many faithful listen. Whilst Cardinal Mueller was never an example of orthodoxy, this manifesto is better than any meowing that has ever come from Cardinal Burke and his sorry band of Bragging Kitten. It is strong, insisted, bold-faced, and quite the wake-up call. It does not ask Francis to state the truth. It does it for him, whether he likes it or not. I very much doubt that the Cardinal is alone on this. But I will give him credit for this: that he had the gut to come out with words of truth alone, putting himself on the firing line. What will Francis now do? Punish a Cardinal for a document consisting almost entirely of quotations from the Catechism and the Scriptures? I’d love to see it. I think I’d have to buy a new popcorn-maker. Again: Mueller is a an experienced politician and diplomatic. He knows what he is doing. There might be more behind this than meets the eye. Posted on February 9, 2019, in Traditional Catholicism. Bookmark the permalink. 13 Comments. The Mueller manifesto is the best news we’ve had since Francis wangled the papal throne from Benedict in order to hand over the Church to Satan and finish the catastrophe initiated at Vatican II to make the Catholic Church a key part of the devil’s New World Order. Hope this letter will keep the candles of hope burning for many real Catholics. It is NOT enough. PF needs to be called out by name and condemned for the heretic that he is. For his apostasy, it should be proclaimed that he removed himself from his office and is no longer Pope. Cardinal Mueller stands for God in the long line of Saints: saying the same things that have always been said, in accord with all that has ever been written. Let those who disagree step forward and show themselves; up to and including Pope Francis. Mueller’s words are no attack per se. They are only that to those who do, in fact, pertinaciously choose apostasy over the one, true, Faith. So let the chips fall where they may. Mueller has chosen Christ. I choose Christ with him. Whatever the cost. Gotta love that methodical, precision, and crystalline German verbal engineering used in dealing with a third rate South American Jesuit buffoon with chronic logorrhea. 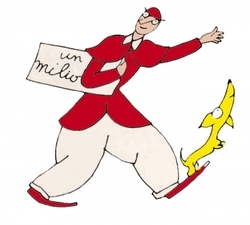 Well done, Cardinal Mueller! This is great news. Muller has always spoken with such great caution that it possibly has a more powerful effect, coming from him. I pray that these comments will give courage to others to speak out as well. Make Catholicism Great Again. Support Cardinal Muller for Pope. Cardinal Muller’s orthodoxy has wavered in the past, but…..I am praying that he has now gotten off the fence and chosen the correct side. For this Manifesto, hats off to him, God Bless him and may the Blessed Mother keep him safely under her Mantle. But my suspicion is the same as yours Mundabor: That there may be more to this than meets the eye. “Nincompoop” looks the best word describing Francis. Some will say he is anathema because he doesn’t hang onto Pope Francis’ every word. They forget that only under certain very specific and limiting circumstances does the charism of infallibility apply. None of those circumstances have yet been brought into play, therefore, we are free to disagree with him. And it is not only our right, but sometimes even our duty to correct even a Pope when his (non-infallible) opinions vary from the Truth. Cardinal Burke may be a weak kitten, but at least he’s trying. And then you have people like Bishop Athanasius Schneider, who is most certainly living up to his namesake. Cardinal Mueller may not have been fully orthodox before, but perhaps his eyes are opening. I hope we may expect more Truth from this one in the future. Burke has only been trying to be an armchair hero. When he has seen that it takes more than blabbering he has caved in. Mueller has been way more robust, and has not tried to hide behind other three people. Be cheerful for God has started cleansing His Church. Deo gratias. I don’t understand Muller’ s position. He criticizes Francis, legitimately so, on his un-Catholic positions, but falls short on speaking the full truth: that Francis Is a heretic. He continues to say he is orthodox, but misled by some of his advisers. This is pseudo-trad nonsense!